I'm so excited about Christmas this year (as with every other year), it truly is my favorite time of the year! From the lit up streets, to baking holiday treats, hanging ornaments, going on Christmas shopping sprees, spending time with loved ones, listening to Christmas music and most importantly, celebrating the birth of Christ! I could go on and on about why I love this holiday so. However, I have to say I'm missing the snow this winter! There's something about having snow for Christmas, of course this didn't matter growing up in Nigeria, but I think New York spoiled me a little in that regard. 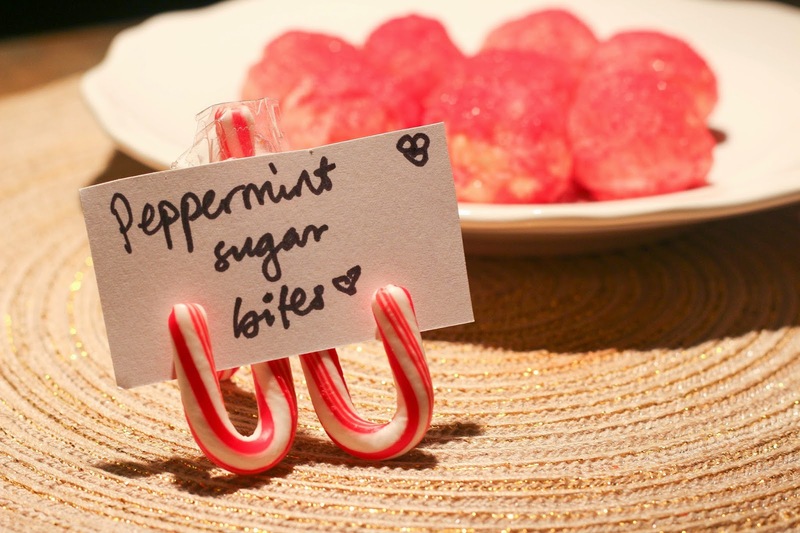 What's your favorite Christmas/Holiday tradition? In a mixing bowl, mix the flour, baking powder and salt. 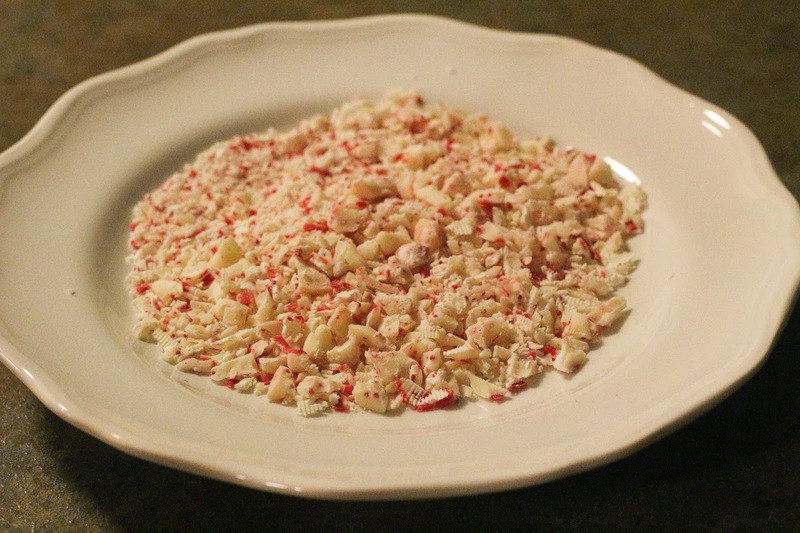 In a larger mixing bowl, combine the powdered sugar, butter, egg and vanilla extract and beat until the mix is creamy. 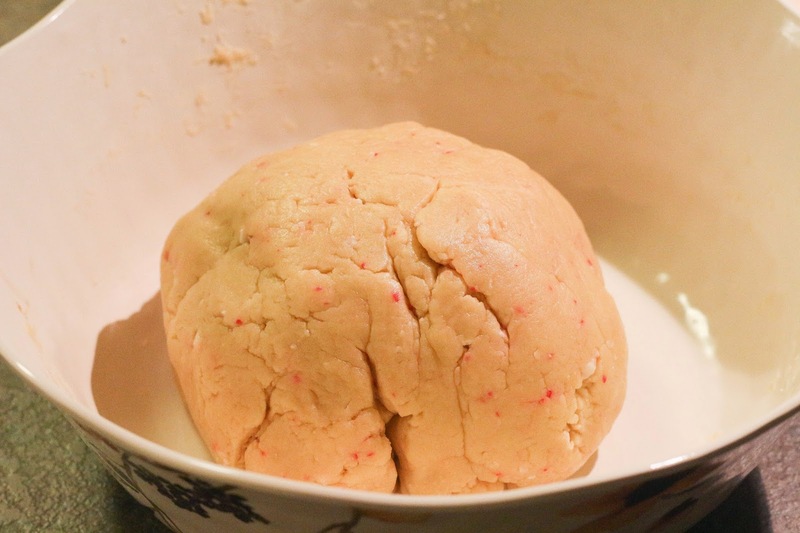 Add the flour mixture, and keep mixing until it is properly blended. Stir in the chopped kisses. Below is what your mix should look like at this stage. 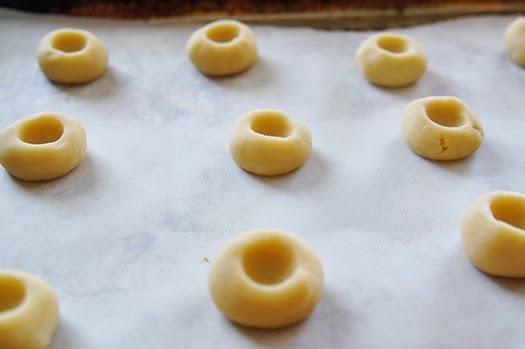 Shape the dough into 3/4 inch balls, roll them in the granulated sugar and align them on your baking sheet. 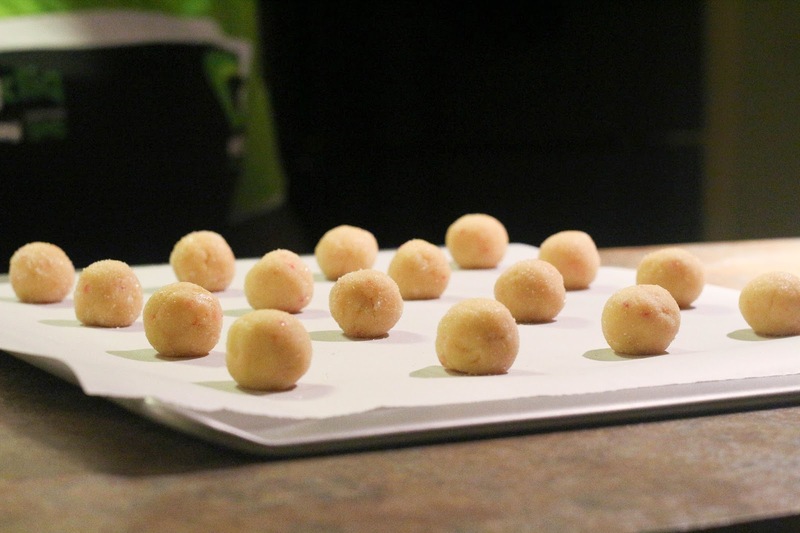 Bake the balls for 12 - 15 minutes, as they bake, unwrap 20 Hershey kisses, and place them in a baking pan (place foil paper in the baking pan before doing this). Halfway through the cookies are being done baking (about 5 minutes in), put the pan with the Hershey kisses into the oven and allow the kisses melt (don't leave it in for too long, once the kisses start to melt, take the pan out). 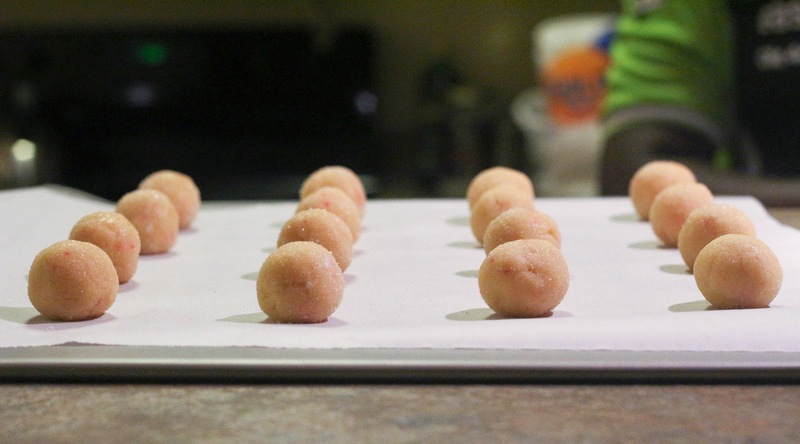 Now that you have your cookie balls aligned on the baking sheet, slightly press down the middle of each ball. It should look like this. Bake the cookies for 12 - 15 minutes. 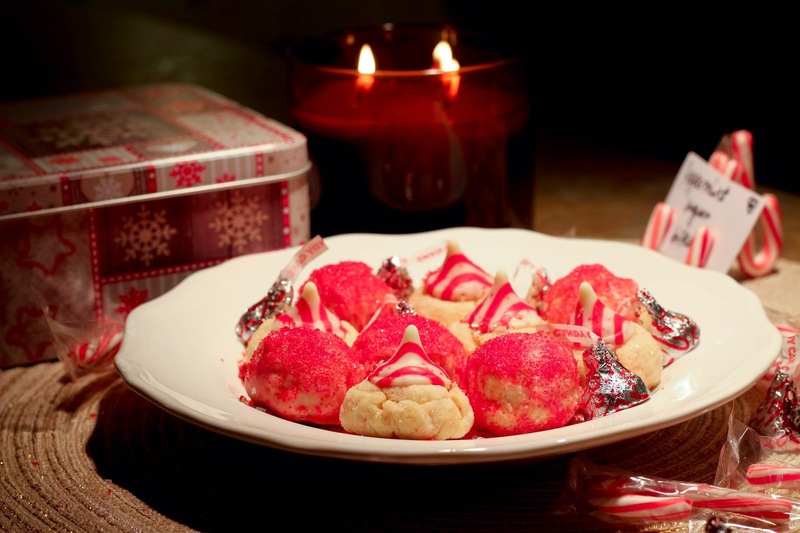 While it's baking, unwrap Hershey kisses (1 per cookie). 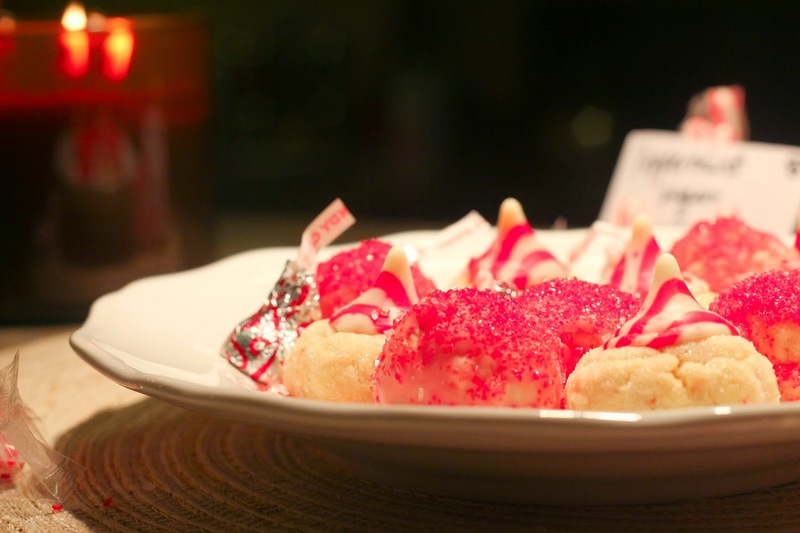 As soon as the cookies are taken out, quickly press a candy cane kiss in the center and put in fridge(I left mine over night, and it was set in the morning). Don't panic if some of them melt in the center, it'll still look cuteee but will lose the kiss shape. Holiday & New Years Eve Party Outfit Ideas!! !